I am from low income group can I have a credit card? What is the minimum salary limit for getting a credit card? These are the most common questions asked by individual now a day. So, today let’s try to get an answer to this question. Annual income and the credit score is a crucial factor in getting the credit card. If your income level is low or if you have defaulted in making payment of a loan, your chances of getting a credit card is less. A credit card company evaluates your application based on your repayment capacity. It is quite simple if your monthly salary is Rs 50,000 you will easily get a credit card. However, if your monthly salary is Rs. 10,000 Credit Card Company might refuse your credit card application. However, a person with low income group can also get a credit card in India. 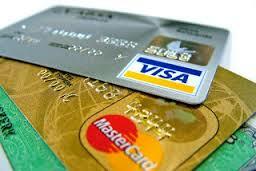 In India credit card is available with a minimum salary limit of Rs 6250 per month. A credit limit of such credit card is very less. It is usually 3 times of the monthly salary. If you are working with a good company or the government your chance of getting a credit card is high. So, here is 10 Credit Card option for Low income group. Credit card against fixed deposit – Good option? 1. India Card by Bank of India – Gross income 0.75 Lac per annum. 2. Canara Visa Classic – Minimum Income 1 Lac per annum. Maximum card usage limit is 3 Lac. 3. ICICI bank HPCL Coral Visa Credit Card – Minimum income 2.4 Lac per annum. 4. Kotak Fortune Gold Card – Minimum income should be 3 Lac per annum. 5. Andhra Bank Credit Card – Minimum Income 1.8 Lac per annum. 6. Bank of Baroda Titanium Card – Minimum Income 2 Lac per annum. 7. Corporation Bank Gold Card – Minimum Salary Income 1.8 Lac per annum. 8. Vijaya Bank Gold Credit card – Minimum Salary Income 1.2 Lac per annum. 9. HSBC Classic Credit Card – Minimum Salary Income 1.44 Lac per annum. 10. Axis Bank Insta Easy Credit Card – No Income Proof. Only fixed deposit of Rs 20,000 is required. How to get free credit score & report from Paisabazaar? If you are already using a credit card or planning to take one make sure you never default on your payment. Making a payment on the due date will help you in two way you can save on interest and also build your good credit history. A good credit history helps you while applying for loan or credit card. Few Low income credit card are Axis Bank Insta Easy Credit Card,ICICI Bank HPCL Coral Visa Credit Card and HSBC Classic Credit card.